What are the causes of Bed wetting? What is Bedwetting? The Definition of Bed wetting: Bedwetting (Nocturnal Enuresis) is involuntary urination while asleep after the age at which bladder control would normally be anticipated. Children become 'dry' at night at different ages in the final stages of toilet training when they develop control over their bladder. After the age of 5 or 6 years old they should have developed this control. 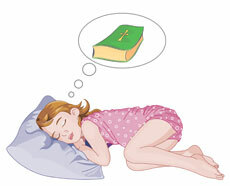 If a child wets the bed more than twice per month after this stage it is called bedwetting (Nocturnal Enuresis). 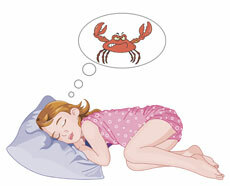 Bedwetting does not usually occur while the child is dreaming but during the deeper phases of sleep. Bedwetting is not a behavioral problem and it is not related to how a child sleeps. It is an extremely common problem and studies have revealed more than 7 million children in the USA are prone to bedwetting. About 9% of boys and 6% of girls still wet the bed at age 7. Children urinate much more frequently, in some cases as often as 10-12 times each day, whereas many adults urinate only 3 or 4 times a day. Do not punish a child for bedwetting - reassure your child that bed wetting is common and can be helped. The sole purpose of the article on a sleep disorder such as Bedwetting is to act as a reference guide to provide useful information regarding sleeping problems. It is not intended to be used to diagnose or treat Bedwetting or as a substitute for obtaining professional medical advice. Please remember that if you are in any doubt about your health please consult your medical practitioner immediately. Fact 5: A small number of children have small bladders that are more easily overfilled.